However, when you combine them, it’s a completely different story. 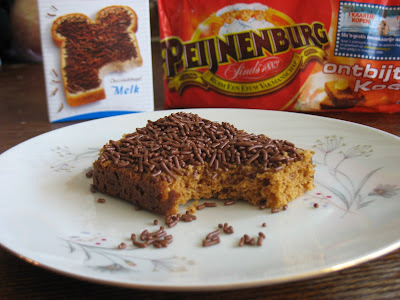 The spongy texture and spicy demeanour of the ontbijtkoek mingle sensually with the smooth brittleness of the hagelslag to result in nothing less than a taste and texture explosion! (*) At least for this week.